It’s that time of year again . 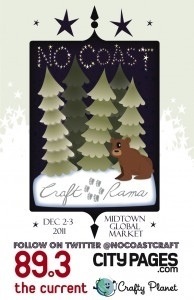 . . Come on down to the Midtown and check out all the great vendors at this year’s No Coast! This entry was posted in shows on December 3, 2011 by Jennie.